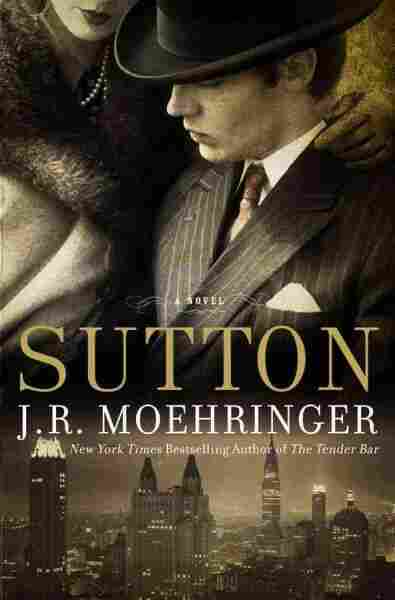 'Sutton': America's 1920s, Bank-Robbing 'Robin Hood' In his first novel, J.R. Moehringer writes from the point of view of Willie Sutton, whom he calls the "greatest American robber." Moehringer says writing historical fiction helped him deal with the anger he felt toward banks after the global financial crisis in 2008. This interview was originally broadcast on Sept. 26, 2012. Stealing from scores of banks over three decades without ever firing a shot, Sutton began his career in the late 1920s at a time of soaring unemployment, bank panics and depressions. He was known as a "Robin Hood figure" and an "anti-societal force," Moehringer says. Growing up, Moehringer says, he remembers people "speaking about him with curious admiration — they always mentioned Sutton with a nod of the head and a wink." Sutton escaped prison several times, but he was finally put away after he was arrested in 1952. Because he was ill, New York authorities released him in 1969. He died in 1980 at age 79. To research the famous criminal's life, Moehringer pored over old FBI records, police files, newspapers and Sutton's memoirs — all of which contradict each other in ways, according to Moehringer. While the truth and reality are important to him as a journalist, Moehringer says, he also likes historical fiction "because there's so much about history we don't know — and novelists can get us close to it with their imagination." Moehringer reported for the Los Angeles Times for many years and has also written two memoirs — Open and The Tender Bar. Open is about Andre Agassi's life — Moehringer was the ghost writer. The Tender Bar is about how Moehringer was raised by a single mother and an uncle who was a barfly — and how he became a writer. Moehringer says he's glad to have lost the pretensions of his youth. As a teenager, he says, he was determined to use these words in his college essay: "Strident, bucolic, fulcrum, inimical, behemoth, Jesuitical, minion, eclectic, Marquis de Sod — spelled 'sod' — and aesthetic. "And you can imagine the essay that resulted from these words." 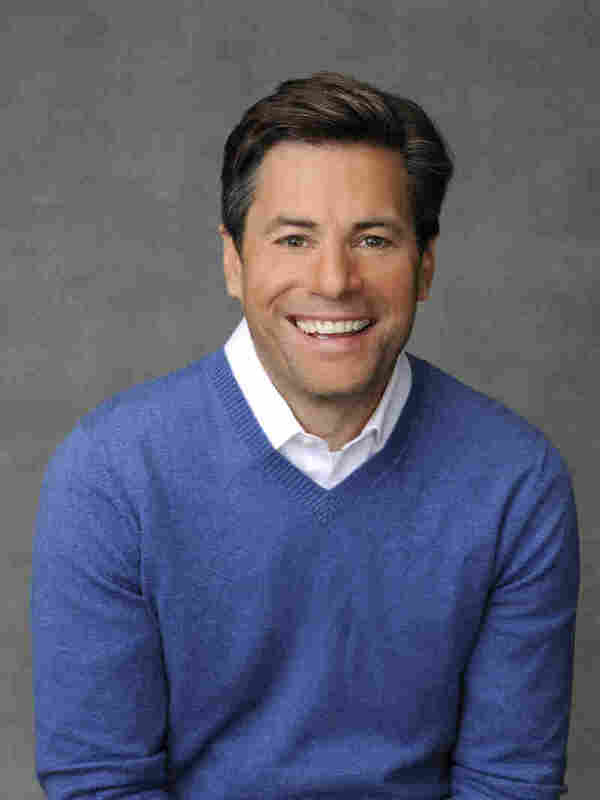 J.R. Moehringer is the best-selling author of The Tender Bar. In 2000, he won the Pulitzer Prize for feature writing for his work at the Los Angeles Times. "He just had these beautiful pipes. I might not have been so inclined to romanticize him if he hadn't sounded the way he sounded. But he really did have this beautiful, almost Paul Robeson voice. And then when he wasn't speaking, he was playing this new, incredibly exciting music. Every time I hear certain Stevie Wonder songs, certain Van Morrison songs, I can hear my father. "But it was so frustrating to be a little kid. I didn't have a relationship with him — but also, the radio provided this spotty access to him. So I was always trying to dial him in. I didn't understand that he had a certain shift every day, so I'd sit out on the stoop and I had this transistor radio, and I was turning the dial excruciatingly slowly trying to find his voice, which really broke my mother's heart. And yet she didn't quite know how to step in and take the radio away from me. "And then what was strange is that when he died in 2002, a lot of his fans posted their favorite shows. They'd saved recordings of some of his best shows, and so I was trying to download them on the Internet. And I was having trouble and I was getting frustrated and suddenly I just stopped and I had this complete flashback. I was doing exactly what I had done when I was a kid, sitting on the stoop, and I just had to turn the computer off and walk away. It was just too trippy, and it took a long time to unwind my sense that he was living this exotic party life — that really, he was a lonely guy projecting a false image through that microphone. It took decades to figure out that that wasn't the truth." "I was 17 at the time — I thought that writing meant using $20 words, and if you can find $50 words, all the better. And I wrote these essays about — I don't know what topics — topics I considered worldly. And I had my mother read them before I sent them off to colleges, and she said, 'You sound insane.' It was one of the biggest arguments we've ever had, and we just went around and around. I thought, 'This woman obviously doesn't know good writing.' And we were slamming doors. I remember this like it was this morning. "But she, as she always does, she prevailed and she said, 'Just tell them the truth. Pick out something from your life. Speak from the heart.' And so I told them about a part-time job I had with these two eccentric booksellers in this little bookstore near our dinky apartment, and I just wrote about how these guys gave me books and talked to me about books and how much I looked up to them and how they'd open the world to me and I couldn't wait to extend that experience to college — just read more books with smart people. "And I thrust it at [my mother] like, 'This'll show you,' because I knew it was terrible, because it was just simple words and nothing but the truth and she said, 'Perfect.' And we put a stamp on it that day. I was never so confused about writing. So my mother has always been my best editor, but she has suffered so much through my life as my best editor, she just takes the brunt of it, because she's the one who has to tell me, 'This is awful.' "
"So really, it was a lot of fun, and it also wasn't very different from writing my own memoir. When you're writing a memoir the trick, I think, is to treat yourself as a character — to distance yourself from yourself. You write about yourself in the first person, but you think about yourself in the third person. That's the only way you can gain any perspective, any clarity, and keep the dogs of narcissism at bay. And then when you're writing someone else's memoir, you do just the opposite. You try and inhabit their skin, and even though you're thinking third person, you're writing first person, so the processes are mirror images of each other, but they seem very simpatico." "I went into a cell that was just like the one Willie would have spent years in, and it was horrifying for me. I have a touch of claustrophobia, so just to go inside, just to be led in by the curator — because it's now a national historic site — was terrifying, and my blood just stopped slugging through my veins. And I stood there and I could just imagine how you would unravel psychologically. It's not a normal cell. It's a dungeon. It was built in the early 1800s. It was world-famous instantly because it was considered so inhumane. "When Charles Dickens came to America, he said he only wanted to see two places: the U.S. Capitol and Eastern State Penitentiary. And he actually interviewed a lot of the prisoners there and upset his American hosts by writing about the suffering that they were enduring. So just the seconds that I spent in that cell was life-changing because the first thing you think to yourself is, 'I can't imagine surviving this.' And the second thing you think, if you're researching a book about Willie Sutton, is how remarkable it is that more than survive it, he had the will to live that permitted him to devise an escape."